Nestled next the new Buttercup restaurant, just a few metres from Dee Why Beach you will find the latest popular food stop Beach Burrito. 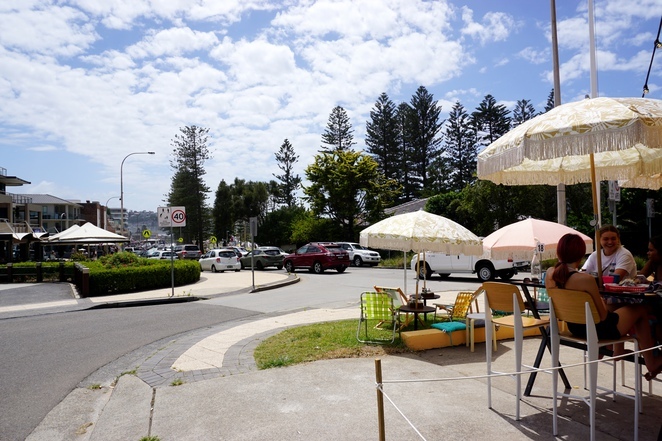 When you come to Dee Why Beach, you can easily see it is all about alfresco eating. Australians love the outdoors and if it involves a sea breeze, even better. 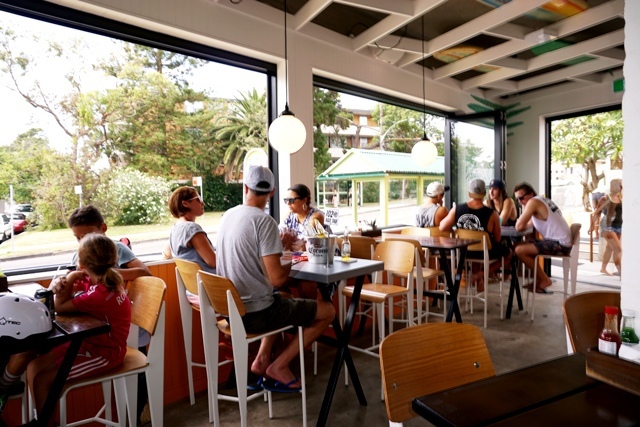 Dee Why beach is taking over as the Northern Beaches favourite dining destination. A multicultural mix of clientele adds colour and energy. It can be crowded, but in an exciting way. When you sit down at an outside table and do some people watching, it almost feels like you are at a beachside location in Europe. There are so many great places to eat, serving top quality food, wine and amazing coffee. 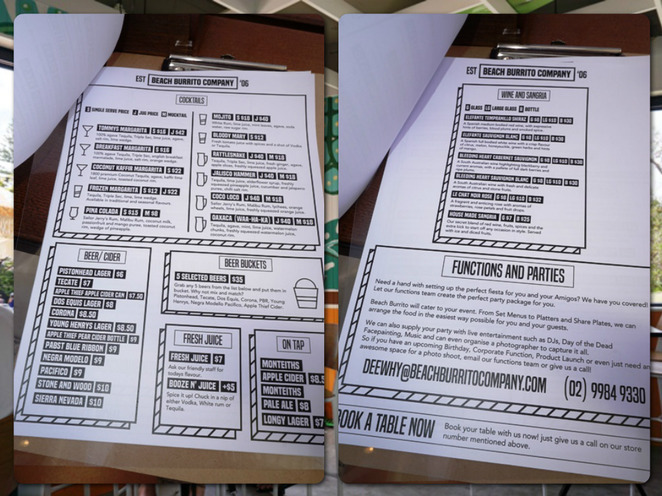 There is Modern Australian, Thai, Italian, Noodles, Burgers, Paella, Seafood, Spanish Tapas, Ribs and Japanese. Of course, all that was missing was Mexican. 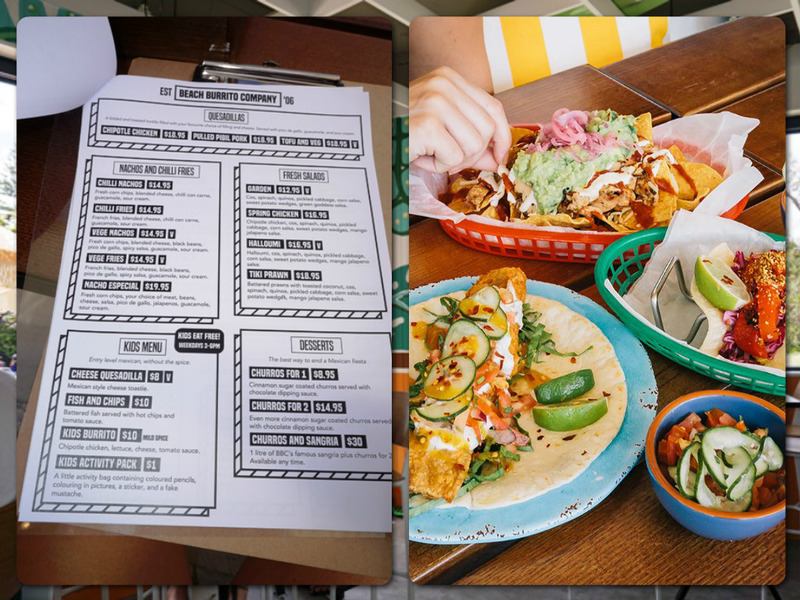 Beach Burrito already has a huge following throughout Australia. 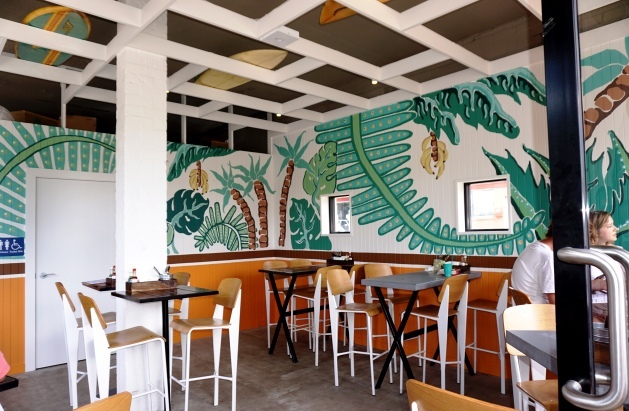 Now the locals in Dee Why are heading with 'mucho gusto' to check out their latest venue, opening just a couple of weeks ago. The decor is done with an uncluttered beachy style. Large open window frames let the sea breeze in. 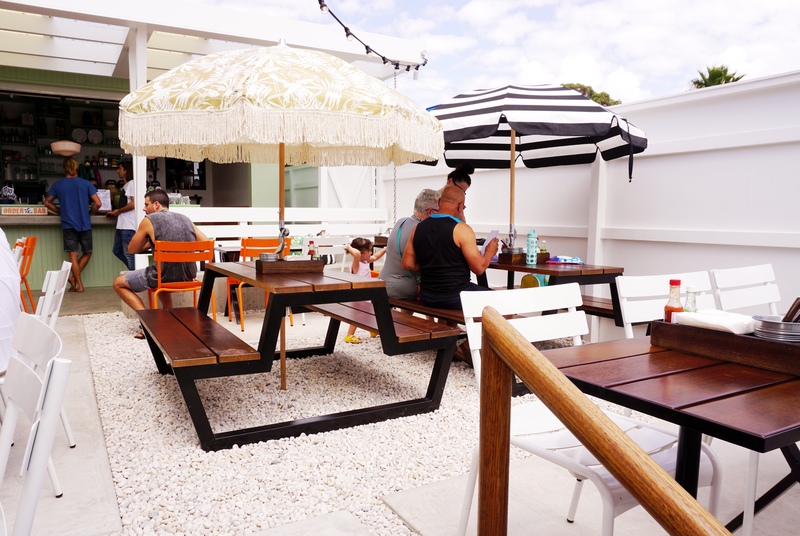 Bikinis and boardies are welcome and don't worry about a little hot sand, the polished concrete floor will cool your feet. 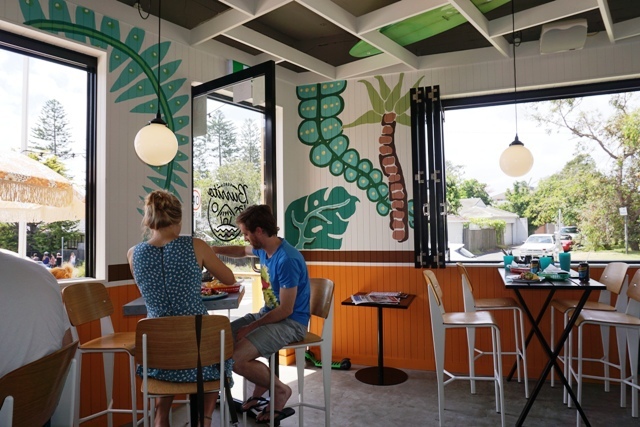 Brightly painted timber walls highlighted with palm tree murals create a fun tropical feel. 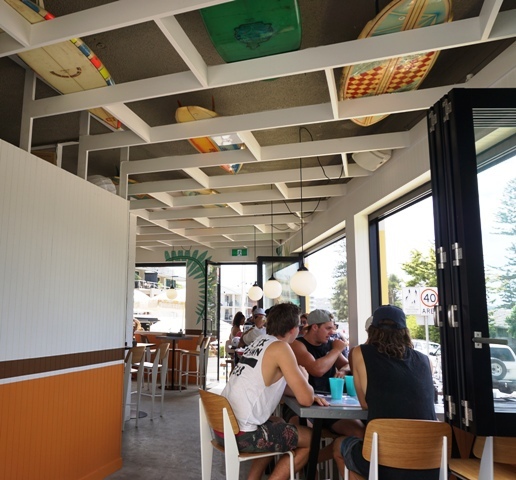 To add to the beachy theme, surfboards are casually displayed as artwork in the ceiling rafters. 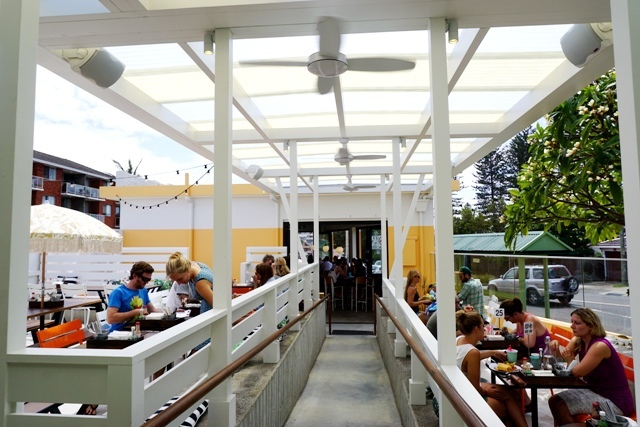 If you crave the sun, then you will love the open air courtyard. While white pebbles under a pale pergola reflect the heat somewhat, it still feels like a Mexican climate - especially if you are downing some of the spicier dishes. 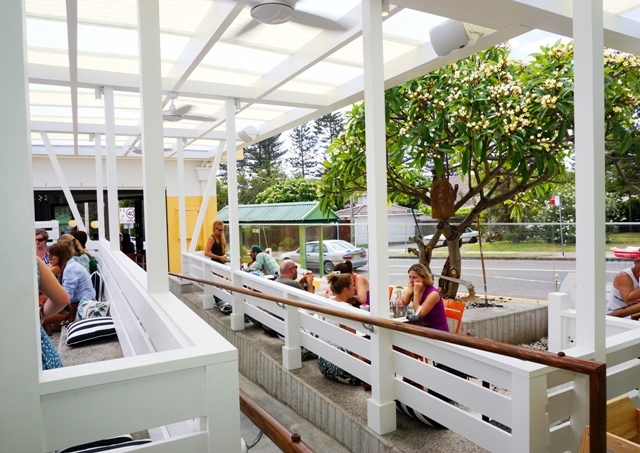 Seating outside consists of a mix of concrete slab benches with brightly patterned cushions, timber topped tables and colourful art deco metal chairs. All it needs is a few distinctive cactus plants and you could feel you were in Mexico. Bring your shades, especially if the sun is out. 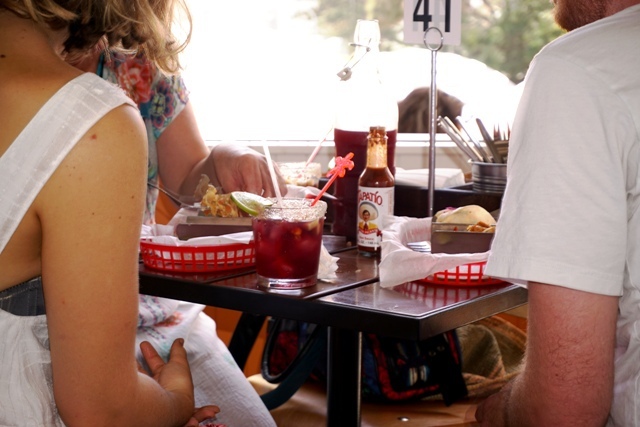 If you are into the hot spicy Mexican dishes, then you might need to move to the shaded side seating area to sip a few crushed ice margaritas, while gazing through the frangipani leaves. 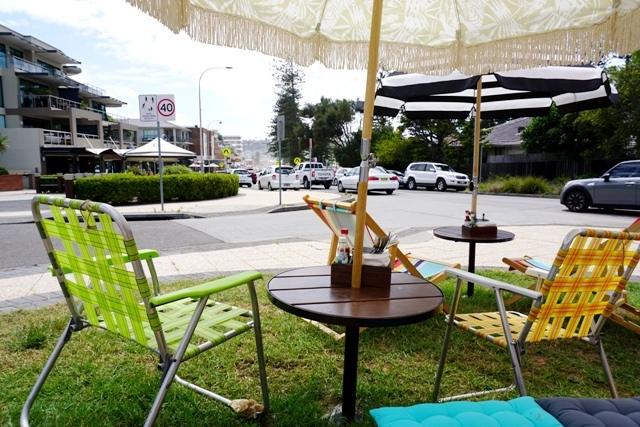 On the weekends from 8 am - 12 Noon, you will find the locals kicking back in deckchairs on the front patch of green, gazing down towards the beach. Weekend breakfast offers piping hot American-style filtered coffee or you are welcome to BYO your own coffee to go with a brekky burrito or quesadilla. The main menu offers an imaginative approach starring not only all your Mexican favourites but some creative ones too. 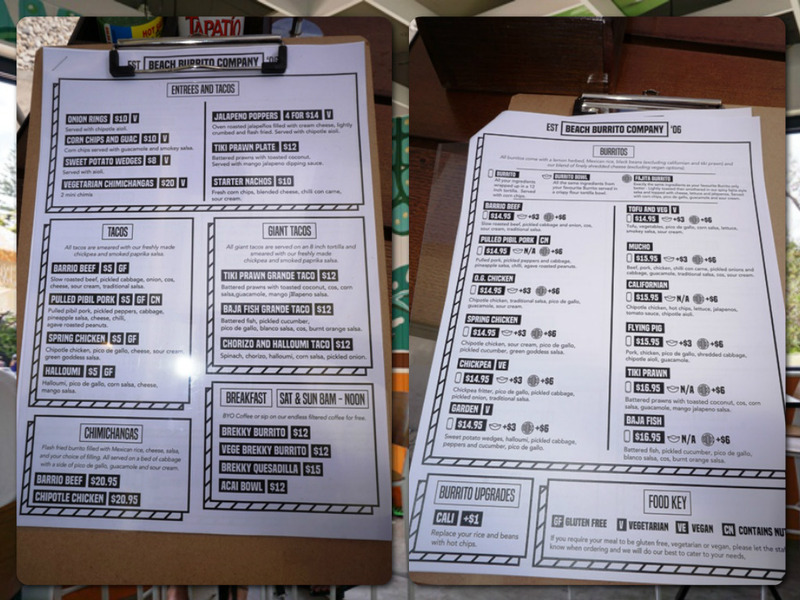 You can just have a snack with a cold drink or go full hog and munch your way through a series of interesting dishes. They serve kick arse frozen margaritas, mojitos, pina coladas and tequila hammers. 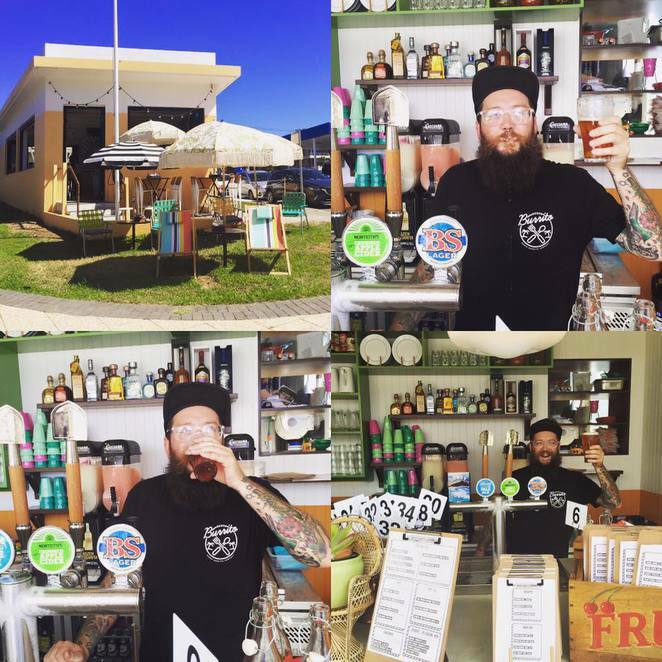 There is also a good selection of beers from Brookvale Brewery, ciders, wines and sangria. If you love a good sangria, on Sundays they offer jugs for $20. Chido! Lunch or dinner might start off with any of their half-dozen margarita choices or a refreshing cocktail. There is everything from classic Tommy to tequila hammers and I was thrilled to see the frozen margarita slushy machines pumping out the perfect drink to cool you down. If you have the time and the appetite, you can eat as little or as much as you desire. The beauty of Mexican food is how quick and easy it is. It's the perfect fast meal if you're coming straight off the beach in your sand covered swimwear. Casual attire is welcome, its all about soaking up the sun and having fun. 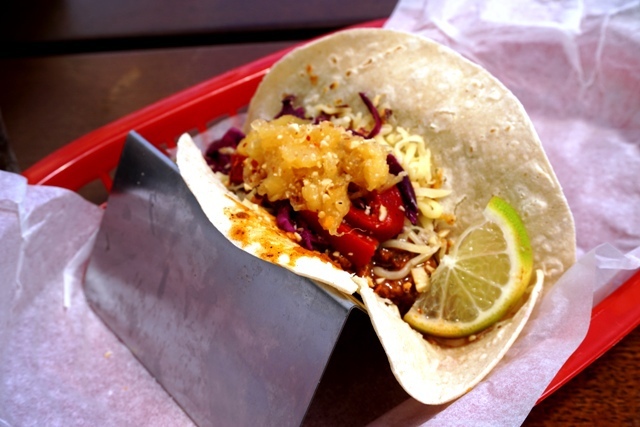 I treated myself to a snack of Pulled Pibil Pork Taco - tasty, tender, juicy pork with a delicious spiced pineapple salsa. 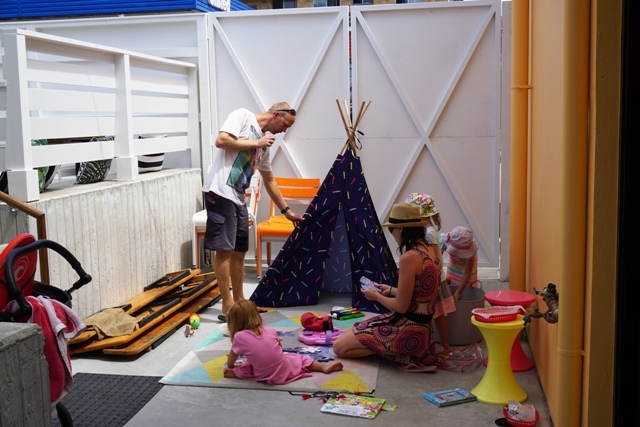 Families will love the dedicated kid's play area with toys and cute teepee. 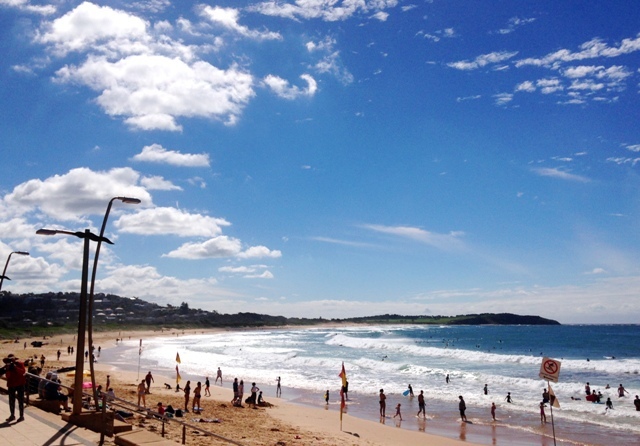 I have to give this new addition to Dee Why Beach the thumbs up. I look forward to returning one evening to enjoy more food, outside under the fairy lights. Check it out soon, click here for their facebook page to stay updated on their specials. Yes the courtyard does need a touch of green, cactus or other plantlife. The frangipani is an attractive addition. This place looks very nice and relaxing, the food looks great too. Congrats on the award. Yes Jenny I think they've opened as quick as they could and I think still yet to add some plants. I've noticed two grass areas roped off so possible they are planting something or pots maybe.